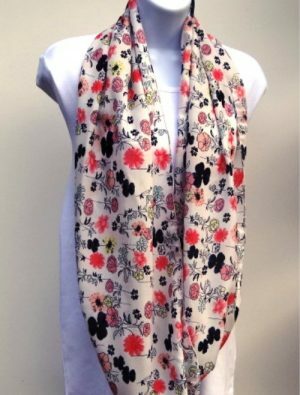 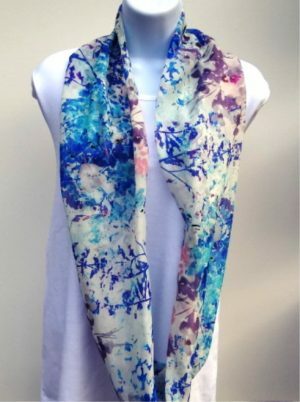 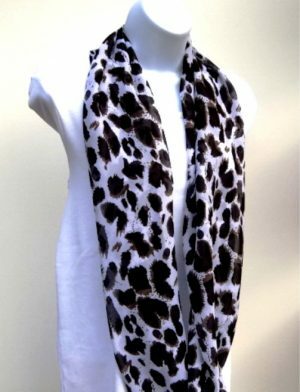 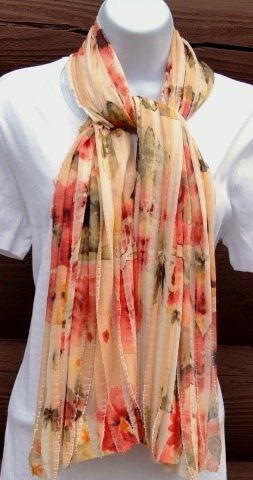 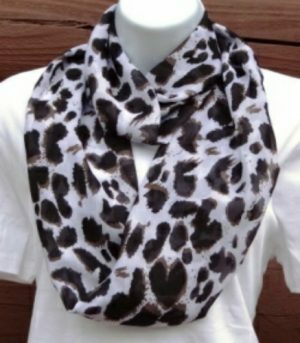 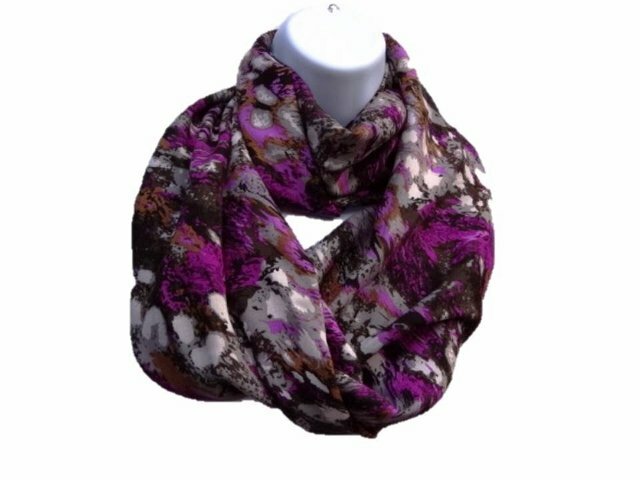 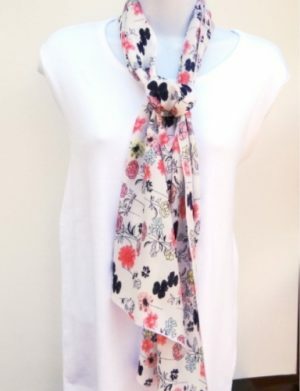 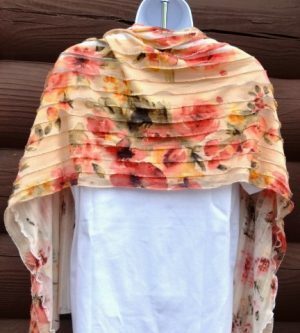 This cotton print infinity scarf has colors of purple, black, gray, white and brown. It has a light feel to it that is comfortable to wear. 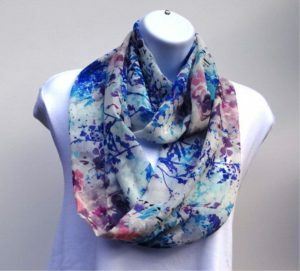 It was sewn into a twisted tube and is double layered.